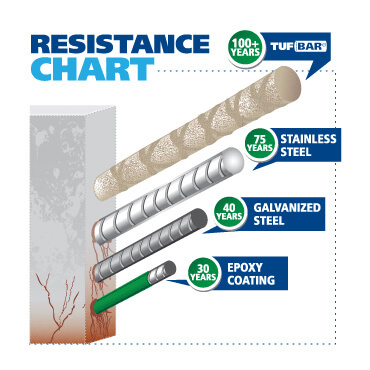 TUF-BAR Fiberglass Rebar, is an excellent substitute for conventional types of steel rebar. 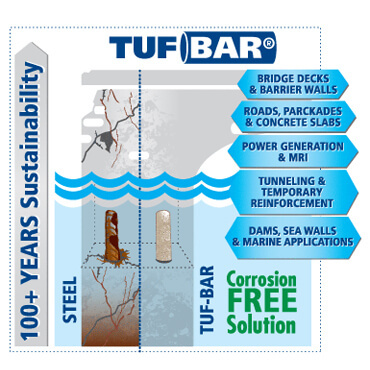 TUF-BAR Fiberglass Rebar is 100% recyclable when used in concrete and can contribute to 6 LEED® credits in Canada and 7 in the USA. 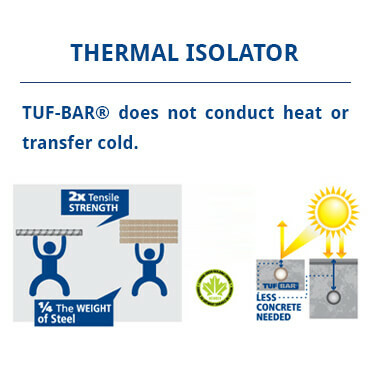 TUF-BAR Fiberglass Rebar is manufactured from sizes #2 – #8. Availability is in stock and custom lengths. 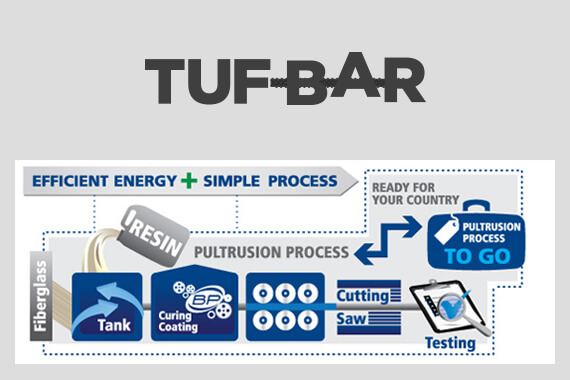 TUF-BAR Fiberglass Rebar forms via a thermosetting resin procedure therefore all bends and shapes are made at TUF-BAR. Bends are currently available for sizes #3 – #8. 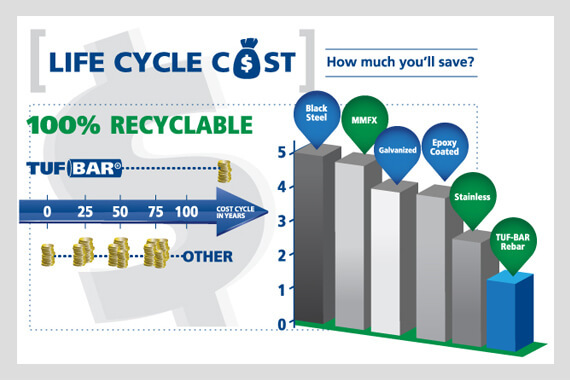 TUF-BAR Fiberglass Rebar contains zero metal or ferrous material, therefore is both non-magnetic and non-conductive, making it an ideal alternative to stainless steel Rebar. 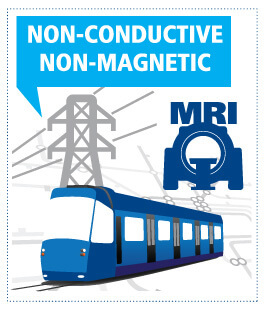 Savings of up to 80% can be realized when used in projects that have magnetic and/or electrical conductivity elements like, MRI, X-Ray, Light Rail Transit and Electrical vaults.